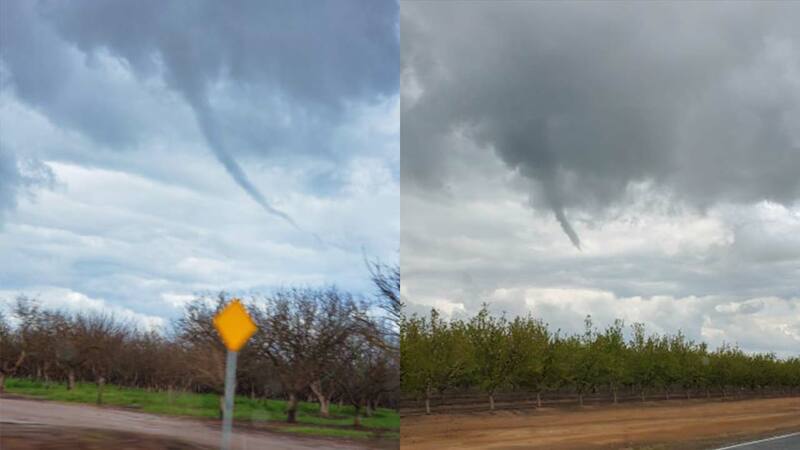 A funnel cloud has been spotted over Madera. ABC30 Insider Jade Munoz said she spotted the cloud over Madera Lake and sent in the above pictures of the cloud. A funnel cloud is a rotating funnel-shaped cloud and differs from a tornado because it has not touched down, according to the NWS.